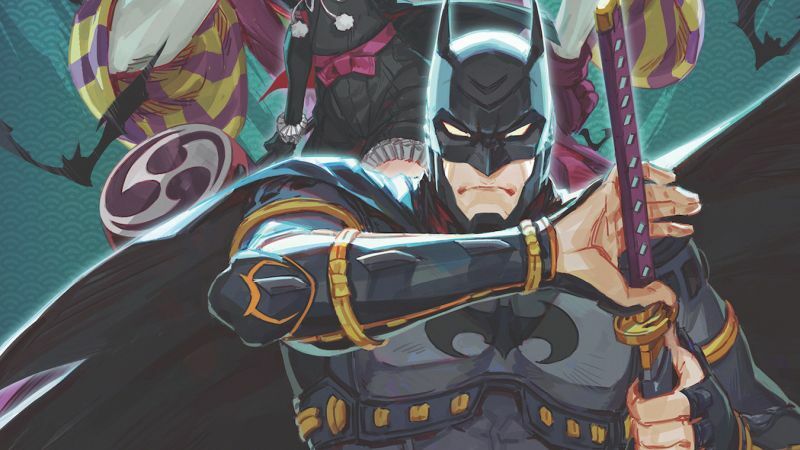 Warner Bros. Home Entertainment has announced that the highly-anticipated Batman anime film, titled Batman Ninja, will arrive on Blu-ray and DVD on May 8 and digitally on April 3. You can check out the English-dubbed version of the trailer in the player below! The visually-stunning Batman Ninja is the creative result of a trio of anime’s finest filmmakers: director Jumpei Mizusaki (Opening animation of JoJo’s Bizarre Adventure), writer Kazuki Nakashima (Gurren Lagann), and character designer Takashi Okazaki (Afro Samurai) produced the original movie with Warner Bros. Japan. The script was then reinterpreted and rewritten for English-language distribution by award-winning screenwriters Leo Chu and Eric Garcia (Supah Ninjas, Afro Samurai). Benjamin Melniker and Michael Uslan are Executive Producers. Roger Craig Smith and Tony Hale lead an impressive cast as the voices of Batman and the Joker, respectively. Grey Griffin and Tara Strong supply the voices of the antagonist & protagonist’s closest allies – Catwoman and Harley Quinn, respectively – while Fred Tatasciore provides the gruff-yet- sophisticated tones of Gorilla Grodd, a villain who must team with Batman to achieve his own personal agenda. Other voice actors include Bat-family members Yuri Lowenthal as Robin, Adam Croasdell as Nightwing and Alfred, and Will Friedle as Red Robin, and the Rogue’s gallery also features Tom Kenny (SpongeBob SquarePants) as Penguin and Eric Bauza (The Adventures of Puss in Boots) as Two-Face. Doing double duty is Tatasciore as Deathstroke, Strong as Poison Ivy, and Friedle as Red Hood. “East / West Batman” (Featurette) – Batman meets the anime medium, as this documentary looks into some of the Western tropes and archetypes, meshed into the world of feudal Japan. East meets West, swords, samurai and giant robots, all playing into the clash between Batman and his Rogues gallery. “Batman: Made in Japan” (Featurette) – To make a special film about Batman requires just the right artist to bring the mix of style and energy that is unmistakably anime. The filmmakers discuss the Japanese character models, influences and design that create a fusion experience into this hyper real world. 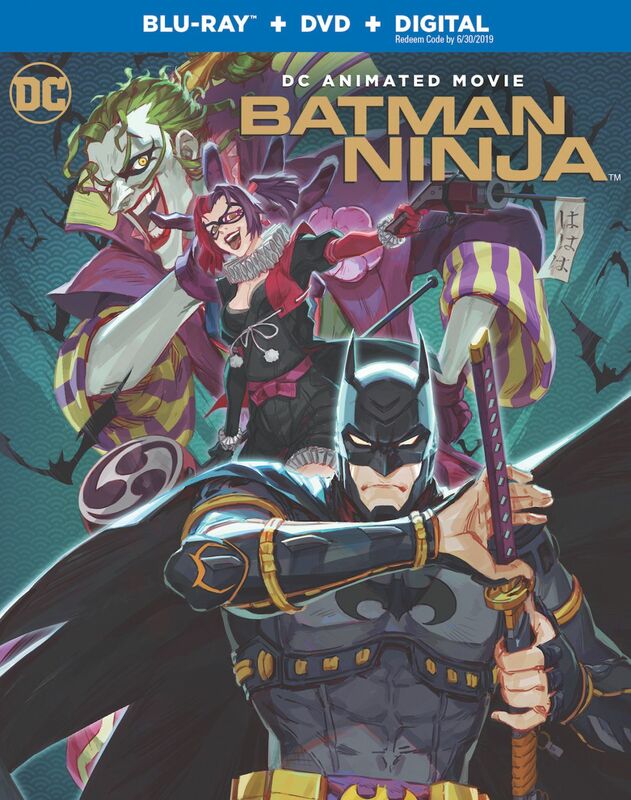 “New York Comic Con Presents Batman Ninja&quot; – Meet the talented filmmakers behind Batman Ninja as they discuss their inspirations and challenges in bringing an anime version of Batman to life during a panel discussion unveiling Batman Ninja during New York Comic Con 2017.